The Pyramids of Giza and the Nile Delta were the tombs of choice for pharaohs of Egypt's Old Kingdom. But New Kingdom pharaohs, who wanted to be closer to the source of their dynastic roots in the south, built their crypts in the hills of this barren tract west of Luxor, now called the Valley of the Kings. The ancient Egyptians built massive public monuments to their pharaohs. But they also spent time and treasure creating hidden underground mausoleums that no one was ever meant to see. The most famed collection of such elaborate tombs—the Valley of the Kings—lies on the Nile's west bank near Luxor. During Egypt's New Kingdom (1539-1075 B.C.) the valley became a royal burial ground for pharaohs such as Tutankhamun, Seti I, and Ramses II, as well as queens, high priests, and other elites of the 18th, 19th, and 20th dynasties. The tombs evidence elaborate preparations for the next world, in which humans were promised continuing life and pharaohs were expected to become one with the gods. Mummification was used to preserve the body so that the deceased's eternal soul would be able to reanimate it in the afterlife. The underground tombs were also well stocked with all the material goods a ruler might need in the next world. Treasures—like the golden masks found with King Tut—are dazzling, but the tombs also contained the more mundane. "They included furniture, clothes (even underwear), and jewelry [though] it's curious that we have no books—from Tut at least," says Salima Ikram, a professor of Egyptology at American University in Cairo and a National Geographic grantee. Tombs were also well provisioned with enough food and drink, including wine and beer, for royal feasting in the next world, as well as sacred objects meant to help the deceased achieve eternal life, even favored companions. "[We find] pets buried nearby," Ikram says. "Hunting dogs, pet baboons, and gazelles." Tomb robbers, treasure hunters, and archaeologists have been combing the Valley of the Kings for centuries—yet it continues to yield surprises. Many thought that the 62 tombs discovered before 1922 represented all that would be found in the valley—until Howard Carter discovered the resting place of a boy king called King Tutankhamun. 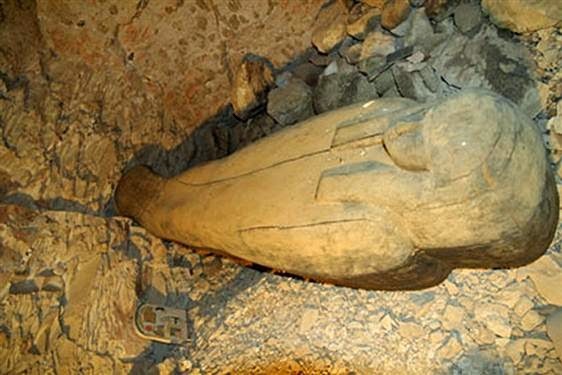 In 2005 a team led by archaeologist Otto Schaden discovered the valley's first unknown tomb since Tutankhamun's. The site, dubbed KV 63, was found only about 50 feet (15 meters) from the walls of Tut's resting place. KV 63 had no mummy but housed sarcophagi, pottery, linens, flowers, and other materials. Some believe it heralds the presence of another as yet undiscovered tomb. "KV 63 is an embalming cache; there must be a tomb to go with it," Ikram says. At least one late Ramesside pharaoh's tomb (Ramses VIII) is still undiscovered, and many believe it may be found within the valley. Clues to such discoveries may be found in period Egyptian writings that mention notables who likely rated tombs but have not been identified. "You try to find out what hasn't been discovered, and figure out where they might possibly be, and then look in those areas," said David P. Silverman, an Egyptologist at the University of Pennsylvania. "You never know what you are going to find." But if more tombs are found, will they be as relatively unmolested as Tut's? The odds are against it. Though their entrances were well hidden, nearly all of the valley's known royal tombs were likely robbed before the end of the 20th dynasty—Egyptian records testify to robbers' trials and to the harsh punishments handed down. By the time the Greek writer Diodorus Siculus visited the valley's tombs (circa 60 B.C.) he wrote, "We found nothing there except the results of pillage and destruction." It's possible, perhaps, that any tomb yet to be found was so well hidden that it also escaped the notice of ancient thieves. Only time will tell. CAIRO — In a rare find, Egyptian and Swiss archaeologists have unearthed a roughly 2,900-year-old tomb of a female singer in the Valley of the Kings, an antiquities official said Sunday. A picture released by Egypt's Supreme Council of Antiquities on Sunday shows the grave of a female singer from the 22nd Dynasty, which was discovered near the Temple of Karnak in the southern ancient city of Luxor. 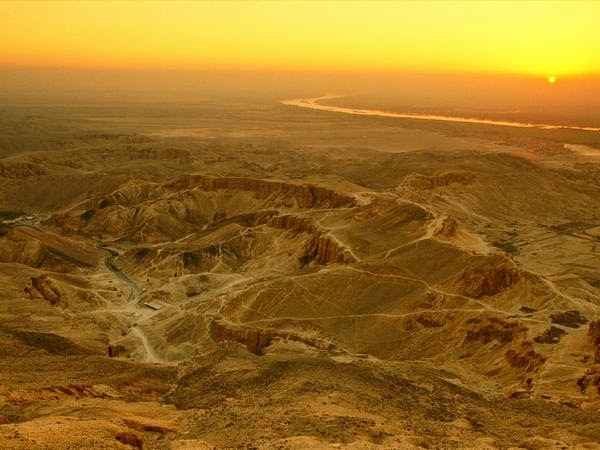 The tomb was found by accident, according to Elena Pauline-Grothe, field director for excavation at the Valley of the Kings with Switzerland's University of Basel.